President Obama wasted little time this week deciding to withhold photos and video images of Osama bin Laden's corpse. In truth, he had some practice. Two years ago he weighed whether to release another set of graphic government photographs -- and the experience altered his views. Obama came into office promising disclosure and accountability as an antidote to a Bush era marred by Abu Ghraib, waterboarding, secret prisons and warrantless wiretapping. Litigation by the American Civil Liberties Union to compel the government to release chilling photographs of abused and violated detainees at Iraq's Abu Ghraib prison continued long enough to land on Obama's desk soon after he was inaugurated. Initially, he believed it was "pointless" to buck the ACLU case brought under the Freedom of Information Act because the organization had already won on appeal, and damaging images had already circulated worldwide. 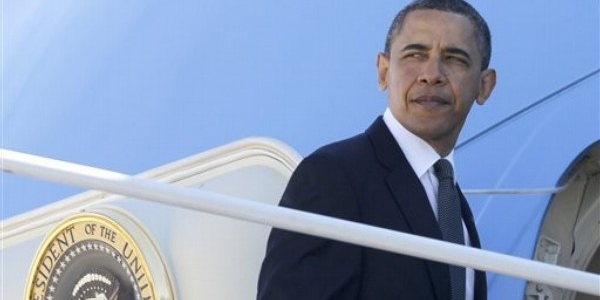 Obama said he would release the controversial photos before a court-ordered deadline. But Defense Secretary Robert Gates and other advisers stepped in to persuade the president that public release of more Abu Ghraib images would put U.S. military personnel in danger, as well as damage America's image abroad. They pointed to evidence such as the 2004 Internet release of the beheading of U.S. businessman Nicholas Berg in Iraq. At that time, the CIA said the murder was the work of terrorist Abu Masab al-Zarqawi and that he could be heard on the tape declaring that Berg's murder was in retaliation for the mistreatment of detainees at Abu Ghraib. On May 21, 2009, in a building, as it happened, filled with thousands of grisly combat photographs from history, the president delivered a lengthy speech to explain how he would undo Bush administration counterterrorism policies that had eroded trust worldwide. He also described his decision -- viewed by some supporters as reneging on a core campaign promises -- to side with the Bush administration to keep any additional Abu Ghraib photos out of circulation. "I had to strike the right balance between transparency and national security," the president said at the National Archives and Records Administration that day. "I ran for president promising transparency and I meant what I said. And that's why, whenever possible, my administration will make all information available to the American people so that they can make informed judgments and hold us accountable. But I have never argued, and I never will, that our most sensitive national security matters should simply be an open book. I will never abandon and will vigorously defend the necessity of classification to defend our troops at war, to protect sources and methods, and to safeguard confidential actions that keep the American people safe."